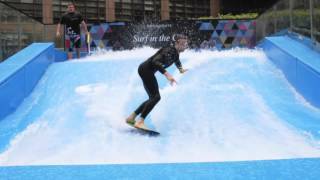 N 51° 30' 41" and W -0° 4' 52"
Fenchurch Street in Greater London (England) is located in United Kingdom a little east of London, the country's capital town. Current time in Fenchurch Street is now 08:39 AM (Sunday). The local timezone is named Europe / London with an UTC offset of one hour. We know of 8 airports close to Fenchurch Street, of which 5 are larger airports. The closest airport in United Kingdom is London City Airport in a distance of 6 mi (or 9 km), East. Besides the airports, there are other travel options available (check left side). There are several Unesco world heritage sites nearby. The closest heritage site in United Kingdom is Tower of London in a distance of 7 mi (or 11 km), East. Also, if you like playing golf, there are some options within driving distance. We encountered 4 points of interest near this location. If you need a hotel, we compiled a list of available hotels close to the map centre further down the page. 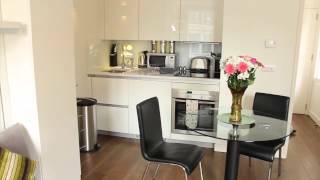 While being here, you might want to pay a visit to some of the following locations: City of London, Islington, City of Westminster, Camberwell and London. To further explore this place, just scroll down and browse the available info. Let's start with some photos from the area. 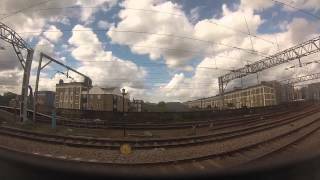 Train journey from Stratford to Liverpool Street Station, London, UK - GoPro Hero3. Lloyd's of London, often styled simply as Lloyd's, is a British insurance and reinsurance market. It serves as a partially mutualised market place where multiple financial backers, known as underwriters, or "members", both individuals (traditionally known as "Names") and corporations, come together to pool and spread risk. Located at 51.5131, -0.0823389 (Lat. / Lng. ), about 0 miles away. The London Metal Exchange (LME) is the futures exchange with the world's largest market in options, and futures contracts on base and other metals. As the LME offers contracts with daily expiry dates of up to three months from trade date, along with longer-dated contracts up to 123 months, it also allows for cash trading. It offers hedging, worldwide reference pricing, and the option of physical delivery to settle contracts. Located at 51.5132, -0.0791667 (Lat. / Lng. ), about 0 miles away. St Andrew Undershaft is a Church of England church located at St Mary Axe, in Aldgate ward of the City of London, near the Lloyd's Building. It is a rare example of a City church that has managed to escape both the Great Fire of London in 1666 and the Second World War bombing during the London Blitz of 1940-1941. Located at 51.5137, -0.0813111 (Lat. / Lng. ), about 0 miles away. St. Olave Hart Street Photo of St. Olave Hart StreetPhoto of St. Olave Hart Street CountryUnited KingdomDenominationChurch of EnglandWebsitehttp://www. sanctuaryinthecity. net/St-Olaves. htmlArchitectureStylePerpendicular Gothic St Olave Hart Street is a Church of England church in the City of London, located on the corner of Hart Street and Seething Lane near Fenchurch Street railway station. John Betjeman described St Olave’s as “a country church in the world of Seething Lane. Located at 51.5108, -0.0796889 (Lat. / Lng. ), about 0 miles away. St Margaret Pattens is a Church of England church in the City of London, located on Eastcheap near the Monument. The dedication is to St. Margaret of Antioch. Located at 51.5108, -0.0829833 (Lat. / Lng. ), about 0 miles away. Located at 51.5106, -0.08 (Lat. / Lng. ), about 0 miles away. 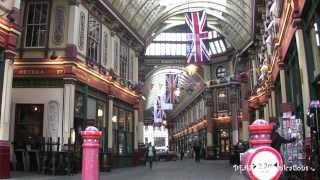 Leadenhall Market is a covered market in London, located on Gracechurch Street but with vehicular access also available via Whittington Avenue to the north and Lime Street to the south and east, and additional pedestrian access via a number of narrow passageways. It is one of the oldest markets in London, dating back to the 14th century, and is located in the historic centre of the City of London. Located at 51.5128, -0.0835194 (Lat. / Lng. ), about 0 miles away. All Hallows Staining was a Church of England church located at the junction of Fenchurch Avenue and Billiter Street in the north-eastern corner of Langbourn ward in the City of London, England, close to Fenchurch Street railway station. All that remains of the church is the tower, built around 1320 AD as part of the second church on the site. Use of the grounds around the church is the subject of the Allhallows Staining Church Act 2010. Located at 51.5116, -0.0804889 (Lat. / Lng. ), about 0 miles away. St Dunstan-in-the-East was a Church of England parish church on St Dunstan's Hill, half way between London Bridge and the Tower of London in the City of London. The church was largely destroyed in the Second World War and the ruins are now a public garden. Located at 51.5097, -0.0827222 (Lat. / Lng. ), about 0 miles away. Fenchurch Street is a street in the City of London linking Aldgate at its eastern end with Lombard Street and Gracechurch Street to the west. To the south of Fenchurch Street and towards its eastern end is Fenchurch Street railway station, a mainline railway terminus with services towards east London and Essex. The entire length of the road is served by London Buses route 40. Located at 51.5119, -0.0807778 (Lat. / Lng. ), about 0 miles away. 122 Leadenhall Street is an address on Leadenhall Street in London where the 225 m (737 ft)-tall Leadenhall Building is currently under construction. The skyscraper, due for completion in 2014, is designed by Richard Rogers and informally referred to as the Cheesegrater because of its distinctive shape. It is one of a number of new tall buildings for the City of London, others include 20 Fenchurch Street (also known as the Walkie-Talkie), The Pinnacle, and 52-54 Lime Street. Located at 51.5138, -0.0821 (Lat. / Lng. ), about 0 miles away. 200px 215px The western end of Leadenhall Street in 1955 (left) and the eastern portion of the street in 2007 (right). Leadenhall Street is a road in the City of London, the historic and financial centre of London. It was formerly the start of the A11 road to Norwich, but that route now originates on Aldgate High Street, just east of Leadenhall Street. Leadenhall Street runs for about 0.3 miles (0.5 km) two-ways between Cornhill at its western end and St. Botolph Street in the east. Located at 51.5135, -0.081 (Lat. / Lng. ), about 0 miles away. Kleinwort Benson is a leading Private Bank that offers a wide range of financial services to private and corporate clients from offices throughout the United Kingdom and Channel Islands. The bank has its headquarters on St George Street in Mayfair, and is supported by seven UK regional and two Channel Island offices. In 2010, the company was rated as the top performing wealth manager in the Financial Times Private Client Wealth Management Survey. Located at 51.5114, -0.0833333 (Lat. / Lng. ), about 0 miles away. East India House in Leadenhall Street in the City of London in England was the headquarters of the British East India Company. It was built on the foundations of the Elizabethan mansion Craven House, the London residence of Sir William Craven, Lord Mayor of London, to designs by the merchant and amateur architect Theodore Jacobsen and completed in 1729. Located at 51.513, -0.082 (Lat. / Lng. ), about 0 miles away. 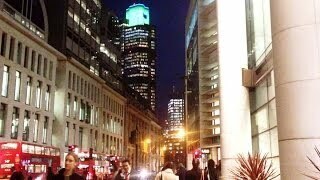 Mincing Lane is a short one-way street in the City of London linking Fenchurch Street to Great Tower Street. Its name is a corruption of Mynchen Lane - so-called from the tenements held there by the Benedictine 'mynchens' or nuns of St Helen's Bishopsgate (from Minicen, Anglo-Saxon for a nun; minchery, a nunnery). Located at 51.5108, -0.0816667 (Lat. / Lng. ), about 0 miles away. 20 Fenchurch Street is a 37-storey skyscraper under construction on Fenchurch Street in London. It has been nicknamed the Walkie-Talkie because of its distinctive shape. Upon completion in 2014 the building will be 160 m (525 ft) tall. Costing over £200 million, it is designed by architect Rafael Viñoly and will feature a highly distinctive, top-heavy form which appears to burst upward and outward. Located at 51.5114, -0.0836111 (Lat. / Lng. ), about 0 miles away. Lime Street is a minor road in the City of London between Fenchurch Street to the south and Leadenhall Street to the north. Its name comes from the lime burners who once sold lime from there for use in construction. It is perhaps best known as the current home of the world's largest insurance market, Lloyd's of London, since its newest building was opened on the street in 1986. Opposite Lloyd's, the Willis Building is the global headquarters of insurance broker Willis. Located at 51.5118, -0.083876 (Lat. / Lng. ), about 0 miles away. St Katherine Coleman, known earlier as "All Hallows Coleman-church", was a parish church in the City of London, situated in Magpie Alley(on the south side of Fenchurch Street) in Aldgate Ward. It narrowly escaped the Great Fire of London, but was rebuilt in the eighteenth century. Located at 51.5117, -0.07881 (Lat. / Lng. ), about 0 miles away. St Dionis Backchurch was a parish church in the Langbourn ward of the City of London. Of medieval origin, it was rebuilt afrter the Great Fire of London to the designs of Christopher Wren and demolished in 1878. Located at 51.5119, -0.0838889 (Lat. / Lng. ), about 0 miles away. 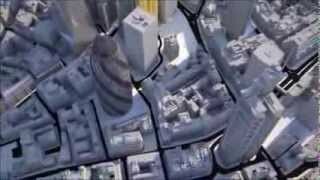 Great Tower Street is a street in the City of London, the historic nucleus and modern financial centre of London. It forms an eastern continuation of Eastcheap starting at Idol Lane, and leads towards Byward Street then Tower Hill. On Byward Street, opposite Great Tower Street, is the historic church All Hallows-by-the-Tower. A public house called the Czar's Head used to stand at No. 48, so named because Peter the Great used to drink there when he was learning shipbuilding at Deptford. Located at 51.5099, -0.0813889 (Lat. / Lng. ), about 0 miles away. Located at 51.5126, -0.07884 (Lat. / Lng. ), about 0 miles away. St Andrew Hubbard was a parish church in the City of London destroyed in the Great Fire of London in 1666. Located at 51.51, -0.0833333 (Lat. / Lng. ), about 0 miles away. St Gabriel Fenchurch (or Fen Church as recorded on the Ordnance Survey) was a parish church in the Langbourn Ward of the City of London, destroyed in the Great Fire of London and not rebuilt. 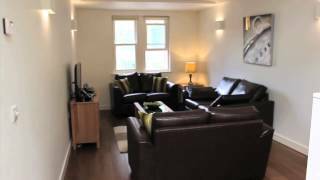 Byward Street is a road in the City of London, the historic and financial centre of London. It forms part of the A3211 route and, if travelling eastward, is a short continuation of Lower Thames Street from a junction with Great Tower Street, to Tower Hill. It is located within the City ward of Tower. Located at 51.5097, -0.0794444 (Lat. / Lng. ), about 0 miles away. 52-54 Lime StreetGeneral informationStatus ApprovedLocation London, United KingdomConstruction started Late 2013 (expected)Estimated completion 2017HeightRoof 190 m Technical detailsFloor count 38Design and constructionArchitect Kohn Pedersen FoxDeveloper Property Group Partnership 52-54 Lime Street is the address of a skyscraper approved for construction on Lime Street in London's main financial district, the City of London. Located at 51.5133, -0.081453 (Lat. / Lng. ), about 0 miles away. These are some bigger and more relevant cities in the wider vivinity of Fenchurch Street. Starting at: 12:15 pm (12:15). Starting at: 01:45 pm (13:45).